MOSCOW (AP) — The lower house of the Russian parliament has adopted a controversial bill that raises the eligibility ages for state pensions. The measure to raise the retirement ages for men and women by five years, proposed by President Vladimir Putin, has drawn widespread protests and irked Russians from across the political spectrum. 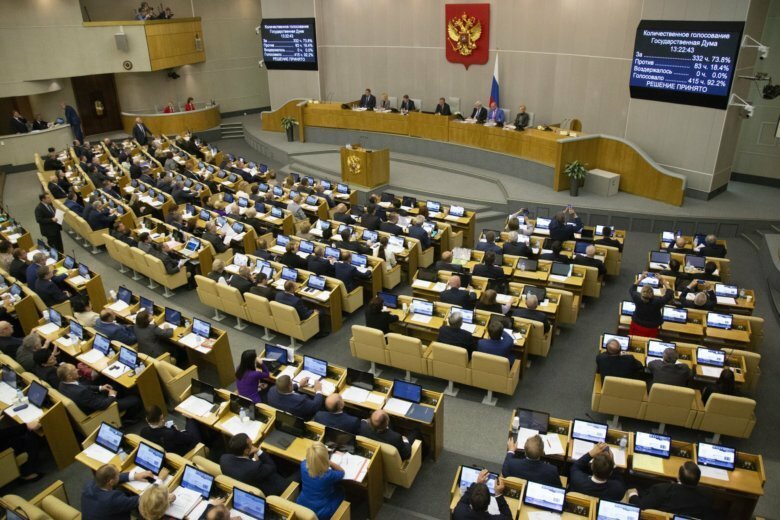 The State Duma on Thursday voted to adopt the third and final reading of the bill, raising the pension age to 65 years for men and 60 years for women. The bill will now come up to a vote at the Federation Council and will need the president’s vetting after that. Older Russians fear they won’t live long enough to collect benefits, while younger generations are worried that the move will limit their own employment opportunities.